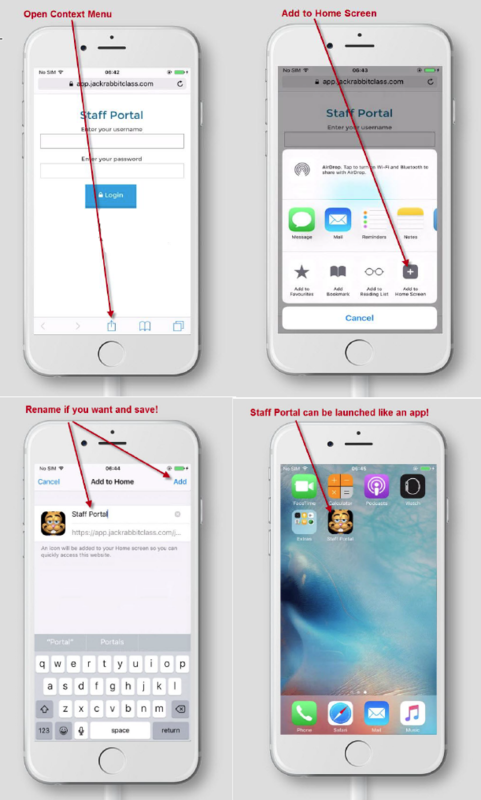 Your Staff Portal remote entry point can be saved to your iPhone/iPad/Android device just like an app. Once it is saved it can be launched via an icon just like any other app. iOS/iPad/iPhone devices must use the 'Safari' web browser. 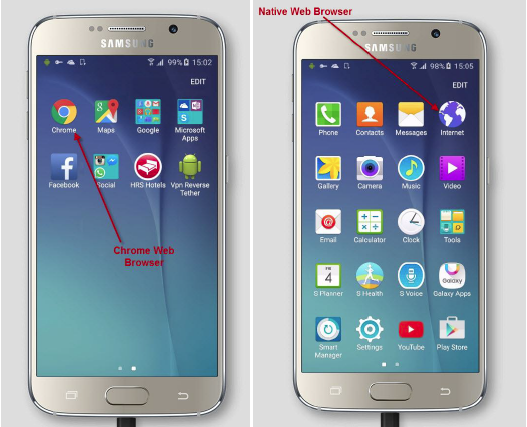 Android devices must use either 'Chrome' or the native Web Browser. In the appropriate web browser on the device (as per above) go to https://app.jackrabbitclass.com/jr3.0/TimeClock/StaffLogin?orgID=XXXXXX. In the link replace "XXXXXX" with your Org ID. Note: Your Org ID can be found from Tools > Online Web Registration. 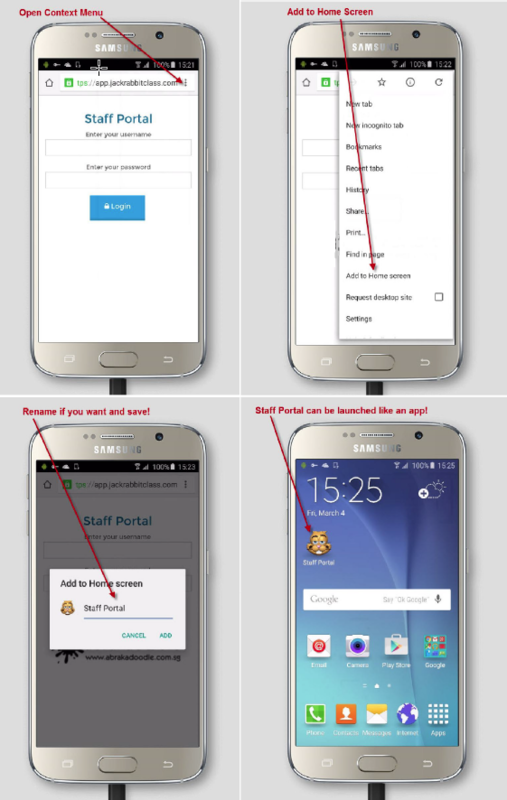 You will now be at the Staff Portal login screen where a username and password are entered. From here you can save as a web app to your device. iOS users will open the context menu by clicking the square with upward pointing arrow icon centered at the bottom of the screen. From this menu click Add to Home Screen. 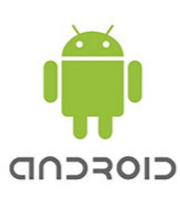 Android Users will click the 3 vertical dots in the upper right hand corner to open the context menu. Then click Add to Home Screen to save as a web app.